World’s largest collector car auction company selects HHR for new East Coast show. Mecum Auctions coming to PA Farm Show Complex & Expo Center this July 24-26, 2014 to be aired on the NBC Sports Group Network and online. Harrisburg, PA (Dec. 20, 2013) – The Hershey Harrisburg Regional Visitors Bureau (HHRVB) today shared the announcement by Mecum Auctions that the largest collector car auction company in the world has selected the PA Farm Show Complex and Expo Center for a new auction event July 24-26, 2014. 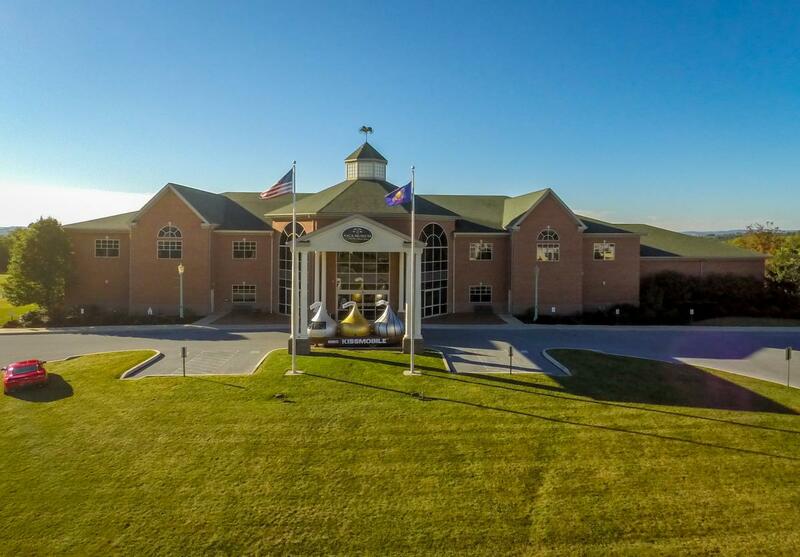 Both tourism officials and Mecum representatives anticipate this new auction, aimed at expanding the Wisconsin-based company’s presence on the East Coast will become a highly anticipated annual event. Establishing a long-term relationship between Mecum and the region would be mutually beneficial for everyone involved, according to local tourism officials who project the three-day event should generate an estimated $2 million in direct spending within the local economy and draw thousands of people to the one million square-foot event facility in Harrisburg. Organizers say they get anywhere from 10,000-20,000 in attendance at events across the nation. For Mecum, the region’s long history of car culture and central location within the Mid-Atlantic region were two significant factors when considering it for the East Coast expansion. The Hershey Harrisburg Region, long recognized as a family destination and hub of state government, indeed has a surprisingly long-standing relationship with the classic and collector car community. Collectors and connoisseurs have come to know and love the Hershey Harrisburg Region as the headquarters for the Antique Automobile Club of America and the majestic AACA Museum, a 71,000 square-foot Smithsonian Affiliated Museum opened in 2003 as a complement to the organization’s Research Center and Library. Today the three-story museum houses the Museum of Bus Transportation Collection; more than 30 motorcycles, motorbikes and Cushman; and 100 cars on display. America; and The Elegance At Hershey, held since 2011 with The Elegance, a judged Concours d’Elegance featuring 75 of the world’s rarest vehicles; and a Grand Ascent vintage racing hill climb. Mecum’s 2014 schedule now features 12 classic and collector car auctions and four (4) vintage tractor auctions to be held in Florida, Iowa, Texas, Missouri, Indiana, Tennessee, Illinois, Pennsylvania, and California. The new Mecum auction in the Hershey Harrisburg Region will open for consignments in February 2014. Mecum’s Web site features a live stream of each auction in addition to daily updates of the most recent consignments including photos and descriptions of each vehicle. For more information on an upcoming auction, to consign a vehicle or to register as a bidder, visit www.mecum.com or call (262) 275-5050.